When we think of EMF radiation, usually we think of the things that are the most dangerous culprits, like cell phone radiation from cell phones, routers, cell towers, tablets, computers, etc. What we don’t often think about is other appliances, like the EMF radiation emitted from our washing machines. 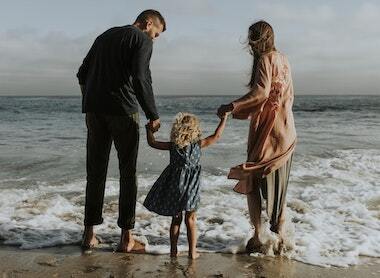 As these devices continue to get more advanced, have more functionality, and connectivity, the radiation emitted will continue to rise. Although if you’re looking to reduce the EMF radiation in your life, there are far more efficient things to do, like reducing radiation from your cell phone, or clearing radiation from your bedroom, it can be helpful to have at least a basic understanding of the type and amount of radiation coming from other, less thought of, home appliances. Do Washing Machines Emit EMF Radiation? Washing machines, especially modern ones, do emit a quite significant amount of EMF radiation. This will come primarily from the control panel at the top of the unit, but any of the circuitry in the machine will emit magnetic field radiation. As you can see from the video below, the radiation is reduced as you move away from the machine, but when close to the panel a large amount is absolutely being emitted. Do Clothes Dryers Emit EMF Radiation? You can see that the maximum radiation emitted from a clothes dryer is less than the maximum for a washing machine, but that over short distances such as 1 foot, a dryer can potentially emit more radiation. As you can see from the video above, the majority of the radiation being emitted is magnetic field radiation. The best way to know just how much radiation is being emitted is to get a good EMF meter. 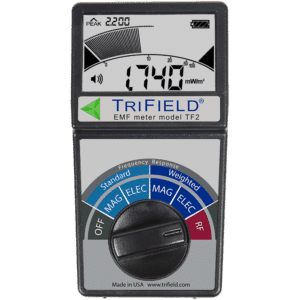 Whenever possible I recommend the new TriField TF2 (read my review) as it’s simple to use, lasts forever, is extremely accurate, and measures all three types of EMF radiation. 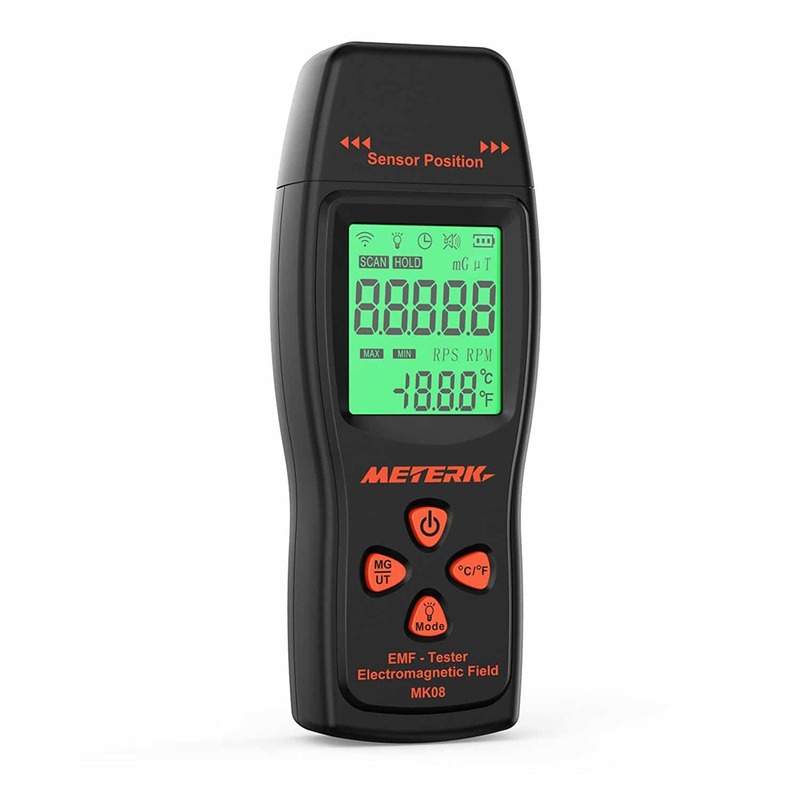 If you’re looking for a low-cost EMF meter I really like the Meterk (read my review). Just like is done in the video above, start by setting the dial on the TriField (or whichever meter you are using) to magnetic fields. It should read the value in terms of mG (milliGauss). Start by standing a few feet away from the washing machine or dryer that you are measuring, and ensure the value is at zero, or close to it. Then slowly approach the machine with the meter and notice the value as you get closer. If the machine is running, you will likely see level above 100 mG as you get right next to the control panel. In order to try and find the lowest radiation washing machine, simple is almost always going to be better. These days, washing machines can even be connected to WiFi in order to provide information and control to the user by an app on their phones. Although this is convenient, it will dramatically increase the radiation emitted. Look for a simple, energy efficient washing machine whenever possible. if you’re bold enough, take your Trifield with you to measure the radiation while you’re shopping. Washing machines emit a much larger amount of radiation than you would think. Proximity is key, as the largest amount of radiation will be found right next to the device. 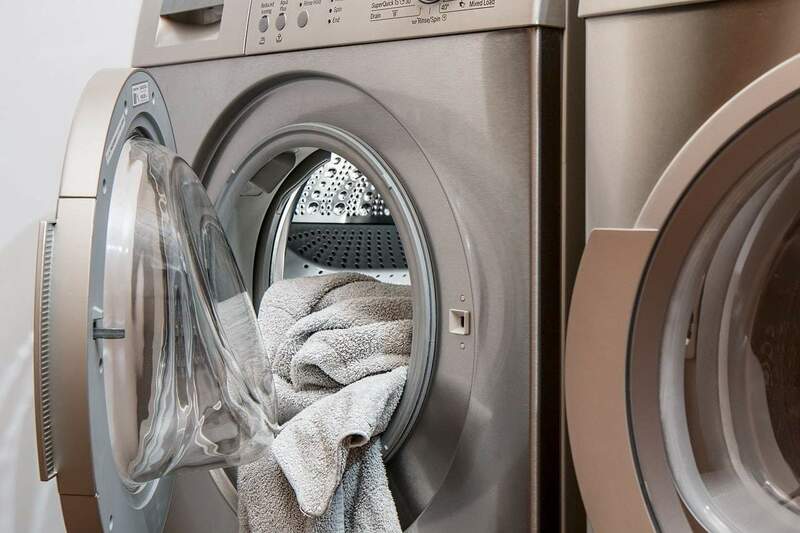 In the end, there are more efficient things you can do to dramatically lower the EMF radiation in your life, but it is good to understand that even appliances like washing machines do emit radiation. I hope you enjoyed my article on Washing Machine EMF Radiation, if you did, please consider sharing!